The Leading Brands of Spain Forum (FMRE), in collaboration with the Spanish Government High Commissioner’s Office for Brand Spain and through a jury made up of representatives from the business, institutional and international spheres chaired by Inditex Council of Administration Secretary General and Vice president of FMRE Secretary General has appointed the new Honorary Brand Ambassadors for Spain (EHME). This recognition is granted on a biennial basis with the approval of the Ministry of Foreign Affairs, the European Union and Cooperation, in eight categories. The new Honorary Brand Ambassadors for Spain are: Francisco Mojica (Science and Innovation), the Professional Football League (International Relations), Ana Botín (Business Management), ONCE (Social Welfare), Isabel Coixet (Art and Culture), State-run Spanish hotel Network (Tourism and Gastronomy), Carolina Marín (Sports), and José Luis Bonet (Extraordinary Accreditation). 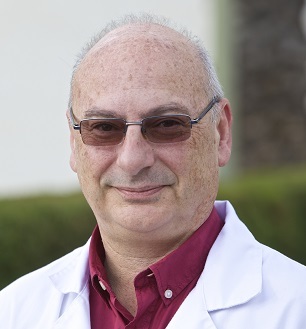 The University of Alicante professor of the Department of Physiology, Genetics and Microbiology has been recognised as one of the most internationally renowned Spanish scientists in the field of microbiology. Recognised for his early contributions (1993) describing the repeated CRISPR sequences in archaea and their role in the immunity mechanisms of prokaryotic cells, which resulted in the development of CRISPR-Cas technology. Jaime I Award for Basic Research, BBVA Foundation Frontiers of Knowledge Award, Lilly Foundation Award for Preclinical Biomedical Research, and Albany Med Prize in Medicine (U.S.A.), Francis Mojica has also been a candidate for the Nobel Prize in Medicine and Chemistry. This is the eighth edition of these awards, whose objective is a public recognition for people, companies and institutions that have contributed with their exemplary professional trajectory to the strengthening of a positive image of Spain abroad. The Jury met at Casa Mediterráneo (Alicante) on Monday 9 July. The 8th award ceremony for the new Honorary Brand Ambassadors for Spain will take place next year, within the context of the 20th Anniversary of the Leading Brands of Spain Forum. The ceremony, as in previous years, is expected to be presided over by Their Majesties the King and Queen of Spain.